There are few experiences more ideal to me than taking in a summer's evening in the comfort of my own front yard. Imagine sitting outside in your garden or front porch with twilight approaching. Good food, good company, and a refreshing beverage is a must for my perfect summer evenings. Sure, a cold crisp beer is often great and fully warranted, but sometimes something else is needed. I have found few drinks really are as refreshing as Mexican aguas frescas. “Aguas frescas are sometimes made with certain plants and seeds that have medicinal properties. For example, agua de nopal, made with cactus pads, is good for the kidneys; agua de papaya helps circulation; agua de coco is said to increase sperm count; and agua de mango is used for eye disorders and throat infections.” (16 Gerson) Certainly aguas frescas have more of a health benefit than any common soda or lemonade. 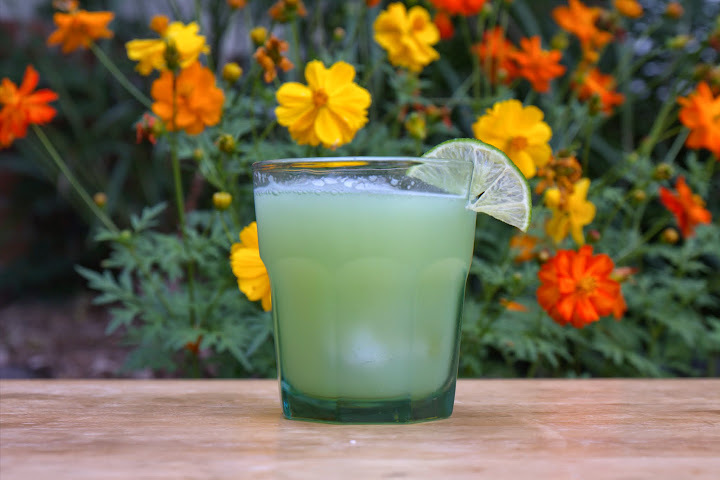 Aguas frescas are a wonderful choice for the family all summer long, and when using ingredients out of the garden or from a local farmer's market, the drink contains all the vitamins and nutrients from the actual ingredients. No artificial flavors are used here. The health benefits are not the only noticeable thing about this Mexican beverage. The flavors are huge but the drink can be as watered down or sugary as desired. This beverage proves that a few common garden cucumbers, garden mint, and limes can go a long way. If you are looking to turn this into a quick adult beverage add 2 oz of your favorite tequila or rum to 6-8 oz of the Cucumber Lime Mint Agua Fresca. Peel the skin and seed two cucumbers, then reserve. Strain the mixture into a bowl. Discard the pulp or freeze with sugar for about an hour for a quick sorbet. Make a simple syrup by combining 1/4 c of sugar and 1/2 c of water into a sauce pot, turn the heat to medium high and wait until the water boils and the sugar disappears. 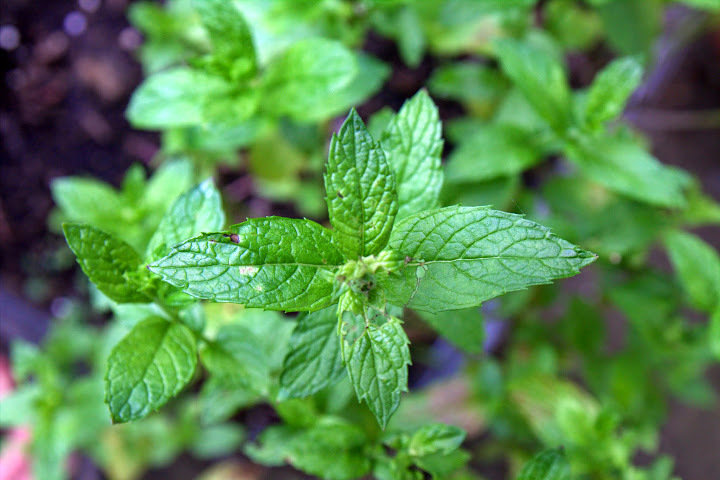 Turn off the heat and throw in mint to infuse. 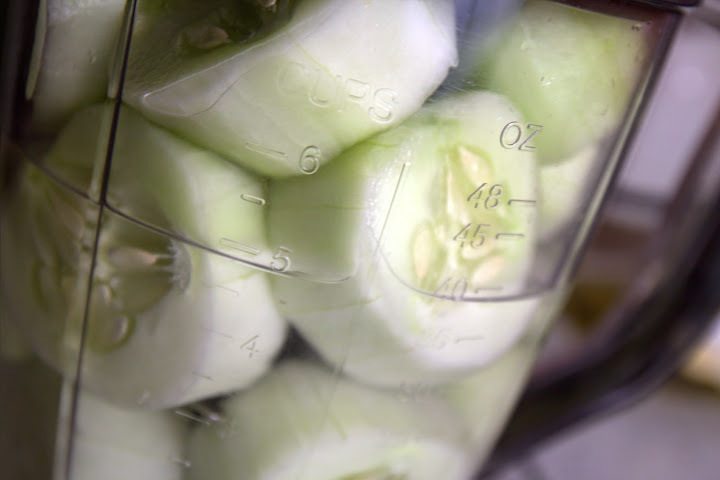 Add syrup and lime juice to cucumber juice mixture, chill and then serve. Gerson, Fany. Paletas: Authentic Recipes for Mexican Ice Pops, Shaved Ice & Aguas Frescas. N.p. : Ten City Press, 2011. 15-16. Print.